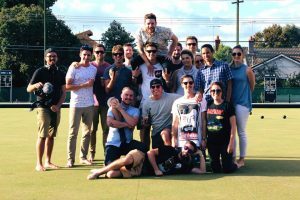 Barefoot Bowls is an online directory for Lawn Bowling Clubs throughout Australia who offer Barefoot Bowling. Barefoot Bowls helps people compare Lawn Bowling Clubs for functions and parties. Many bowling clubs in Melbourne, Sydney, Brisbane and Adelaide offer Barefoot Bowls functions and bookings; but how do you know which one to go to and what makes them different? Here at Barefoot Bowls we let the customer compare clubs for their individual needs to find the right club for their next lawn bowls party or function.